Former Rangers and Scotland star Lee McCulloch is set to make a surprising move to Poland. The 39-year-old is on his way to Eastern Europe after accepting an offer to become the assistant manager of Lechia Gdansk. The Ekstraklasa side are managed by former Rangers coach Adam Owen and currently sit 11th in the 16-team league table. 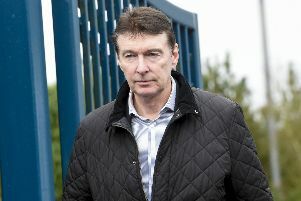 It would represent a return to coaching for McCulloch after he left his position as manager of Kilmarnock in October. Speaking to the Daily Record, he said: “It’s really come up out of the blue and I’m delighted to be taking it up. “I obviously know Adam from our days together at Rangers and he’s looking for someone he can trust to work alongside.